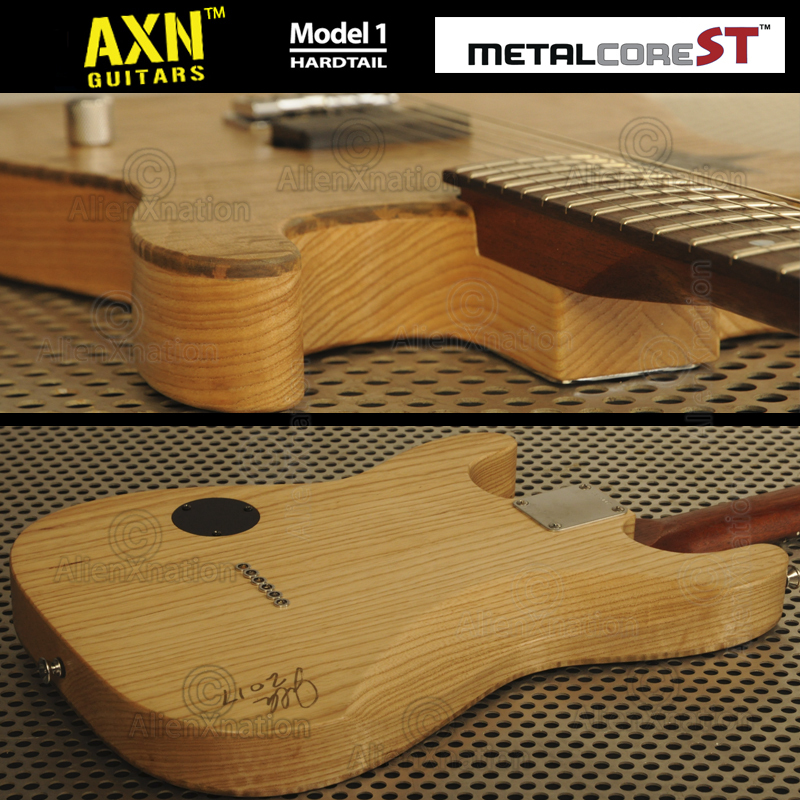 Modern guitar players require an instrument that takes all the advances in guitar engineering and incorporates them into one simple yet usable design. There is a common misconception that any electric guitar should cover a multitude of sounds. 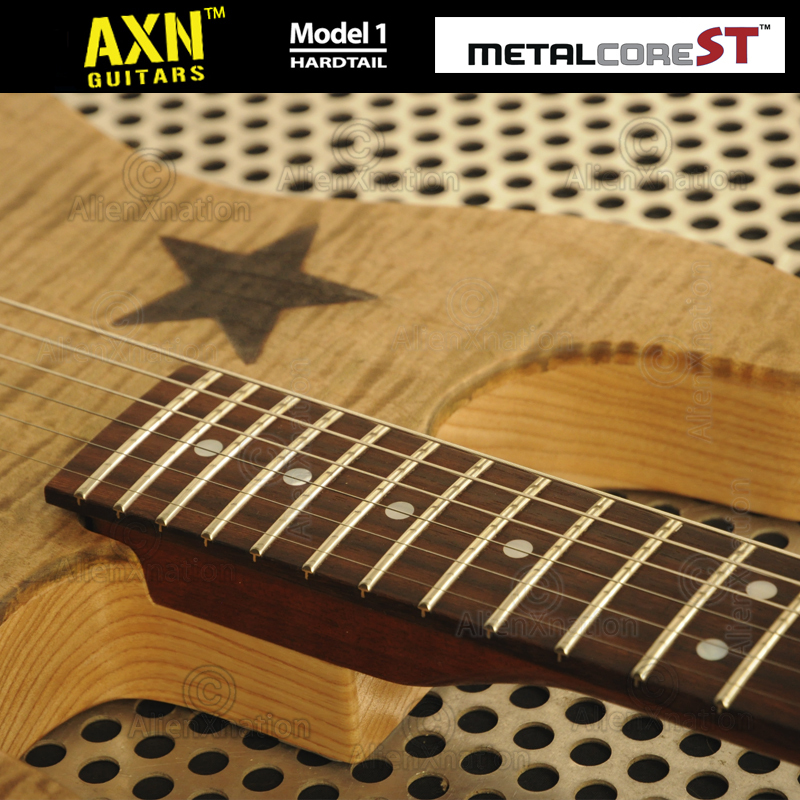 Surprisingly working musicians use a guitar that accommodates the style of music they perform. 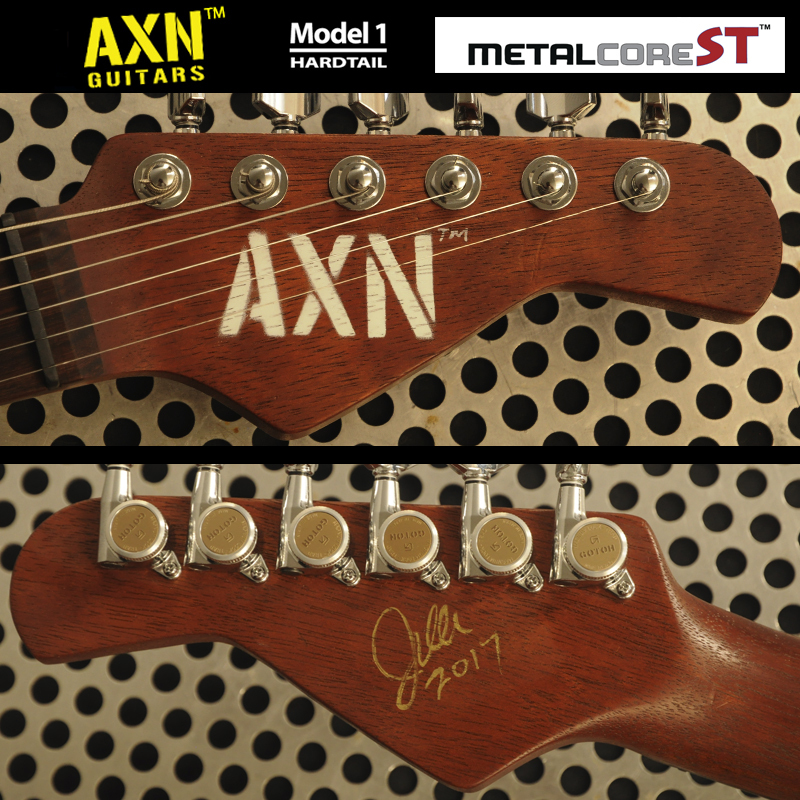 We make guitars that do one thing ... ROCK ... and every AXN™ does this extraordinarily well. Our MetalCoreST™ prototypes were initially designed and built for two of our friends while they were on tour back in 2014. Those two guitars are in use live today. We listened to suggestions and pulled from those initial designs and went back to the drawling board. The result is what you see in this redefined Model. 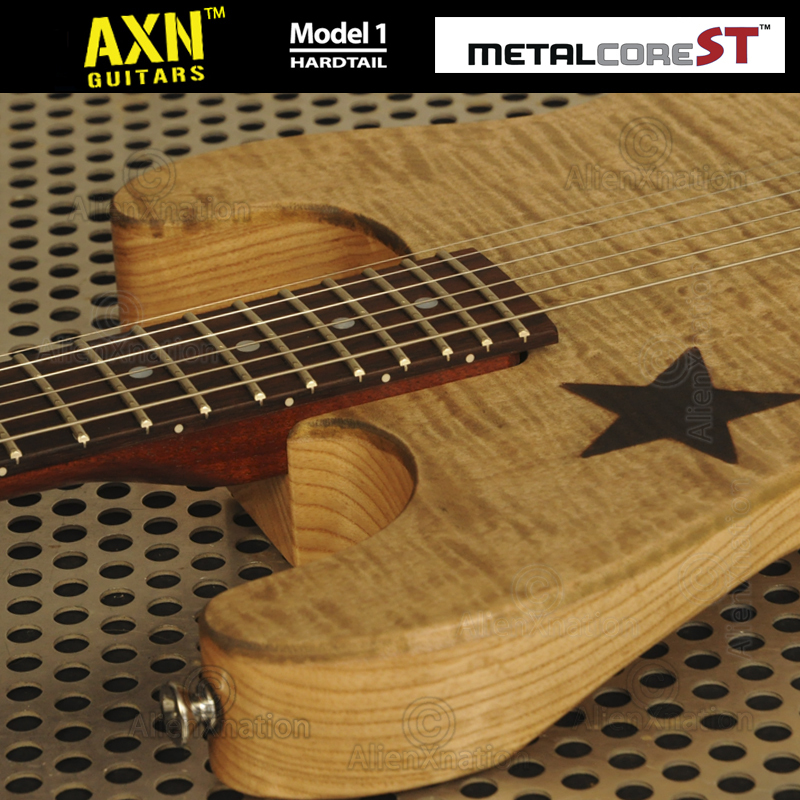 The MetalCoreST™ has a hand picked two-piece center-joined Swamp Ash body with a two-piece center-joined maple top. 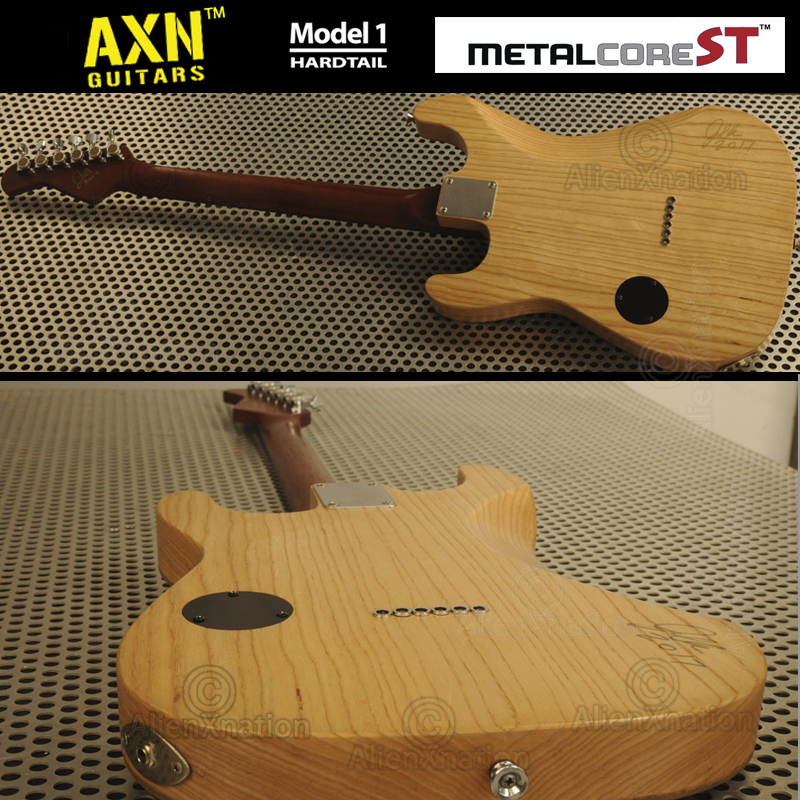 The single pickup design, the wood types and shape of the body are key to its sound. 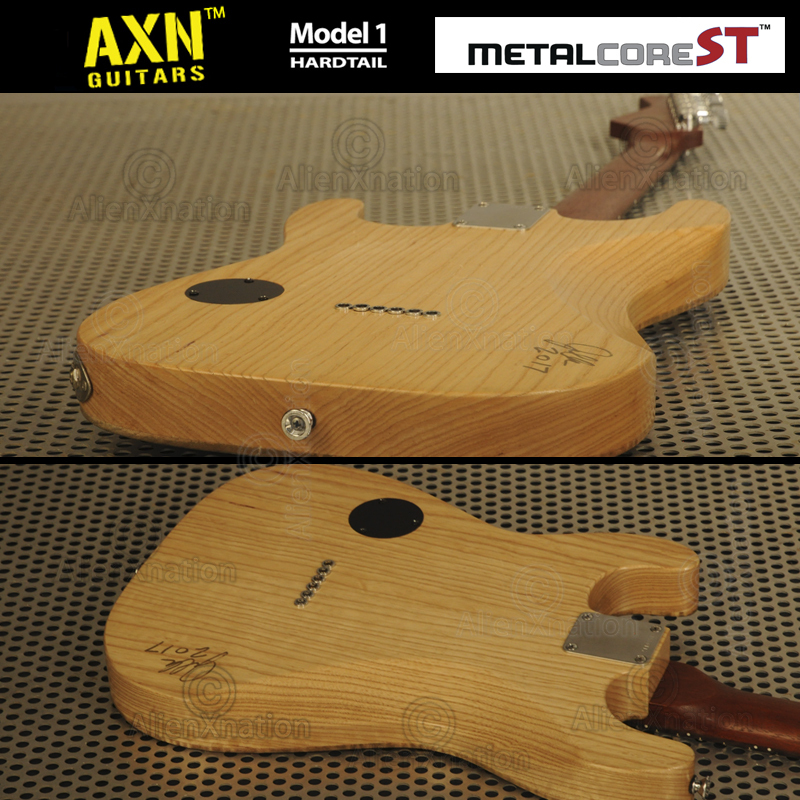 Add our mahogany neck and AXN™ build engineering. What you have is a viable challenger to the most toneful neck-through or set-neck guitars. 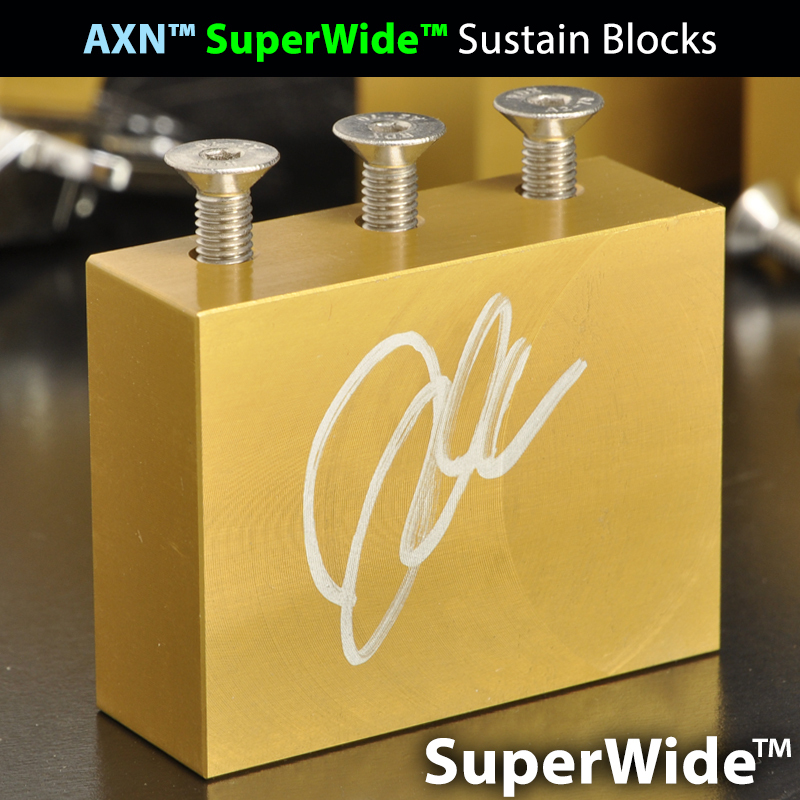 The MetalCoreST™ has more articulation, bass and treble response with out of this world sustain. 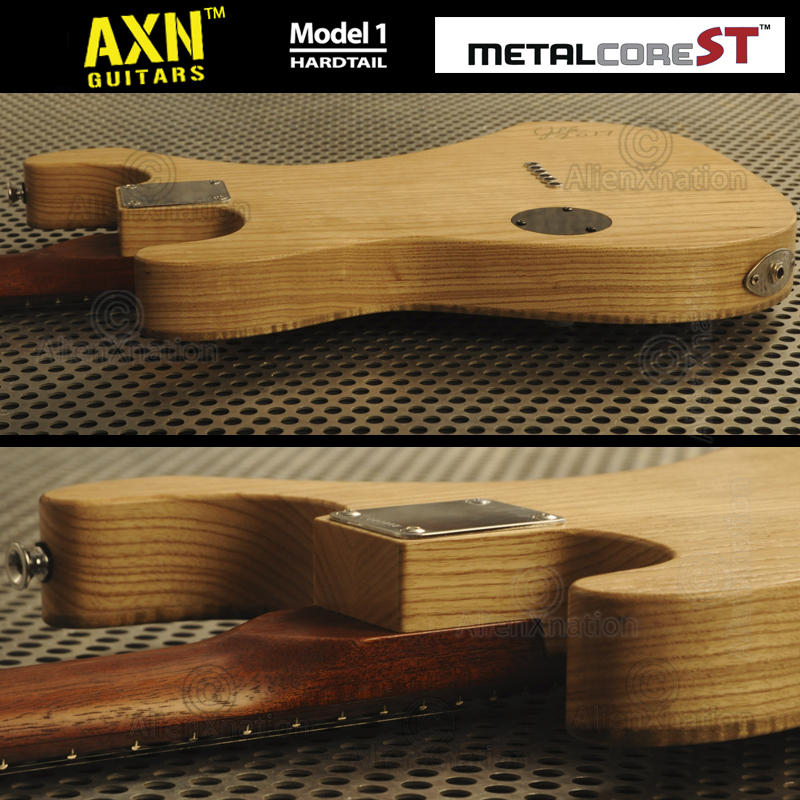 We've built this guitar with only a single volume knob. Real players chose the position of the volume, pickup and input jack. 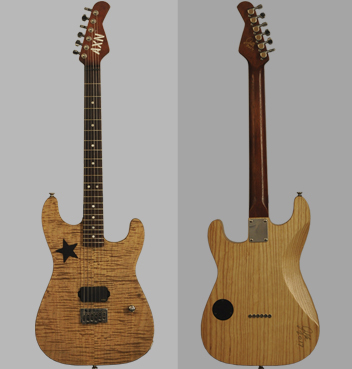 We also have opted with an EMG 85, a Bare Knuckles Nailbomb, or a Bare Knuckles Aftermath Pickup. 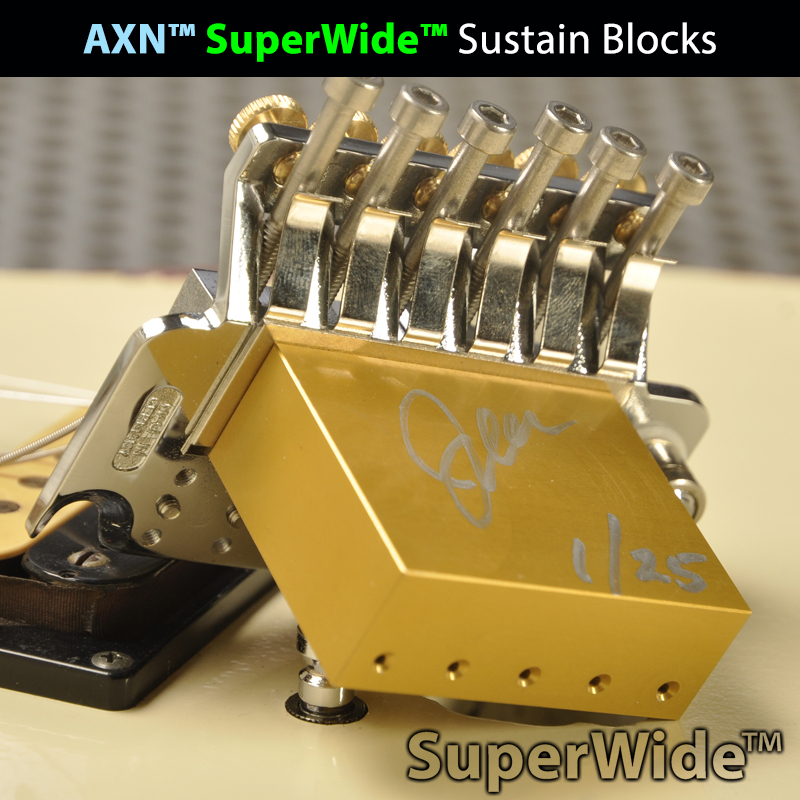 If your AXN™ is ordered direct from alienxnation.com your choice of pickup can be installed. 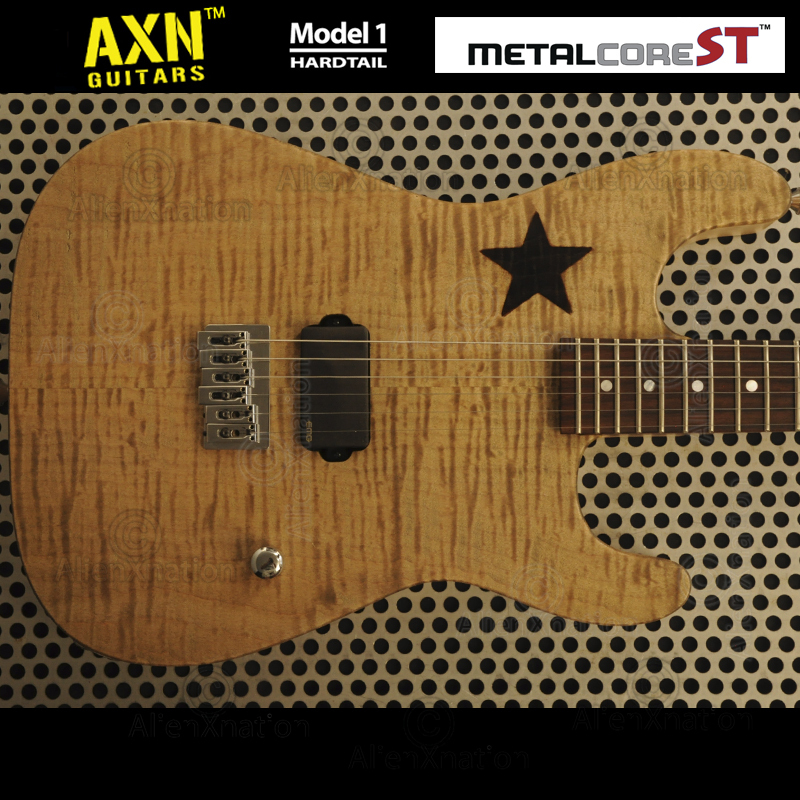 We delicately choose these perfect exotic tonewoods to use for both the neck and body so as to emphasize the right sonic frequencies for hard rock, metal and metalcore. With so many great modern amplifiers and cabinet/speaker combinations available to the hard rock guitarist controlling the guitar signal is virtually unlimited. The problem that exists is that no guitar makers have addressed the guitar players needs in the way of common sense. We have eliminated constant modifications and work-arounds to your axe that are required to dial-in your personalized tone. 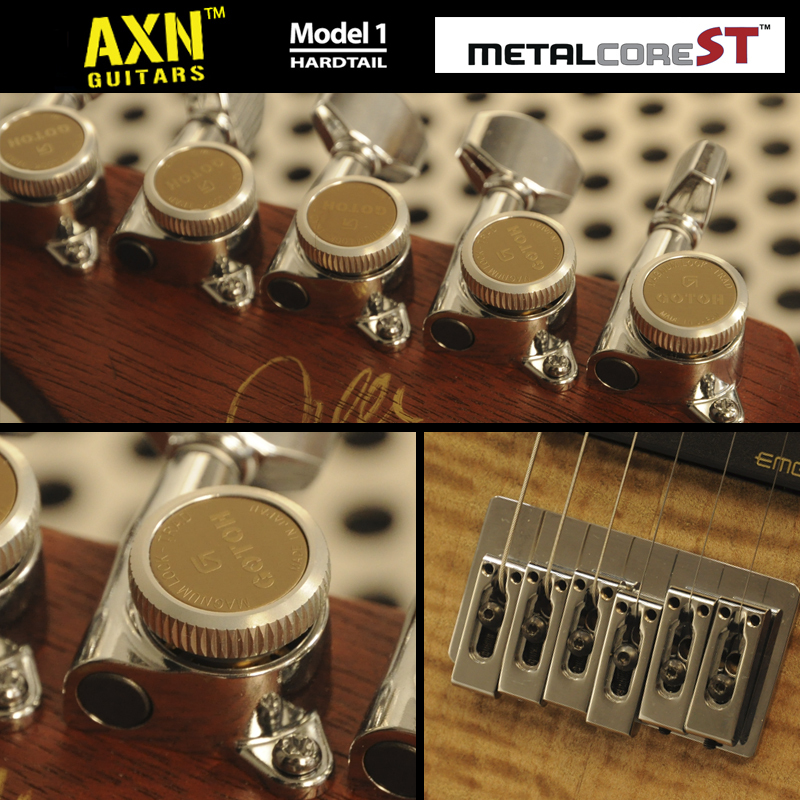 Our guitars offer comfort, clarity and articulation and like we just said... common sense. The MetalCoreST™ is the perfect fit for extreme riff-ing, lead playing and a more technical approach to performing heavier music.